My main goal this year is to put more focus on using up the makeup in my collection and buying less. Of course, this means that on my blog I'm posting more about my Project Pan, the items in my collection, and of course, empties! These are all of the products I finished this month and my thoughts on them now that they are done. My goal this year with my empties is to use up $1,000 worth of product, not including the products I'm using in my Project Pan or what I'm decluttering. Last month I used $159.39 so I would love to top that this month! Also, if I have a different price from what the website I linked listed, it's because I either remember getting a special deal on it or I still have the price tag on the product! Usually I use a shower gel for shaving, but I struggle with razor burn so I thought I would try a shaving cream and see if that helped. I liked using this because it smelled like raspberries, but it didn't help my razor burn at all and I don't think it is cruelty-free so I wouldn't repurchase. If you haven't smelled this, you're missing out! It reminds me of summer and I love using it on my legs. It's not the harshest scrub that I've used, but it works well as a body scrub and like I said, I love the lemon-lime scent. Since I started using micellar water I've tried out a few different brands to see which one removes my makeup the best. 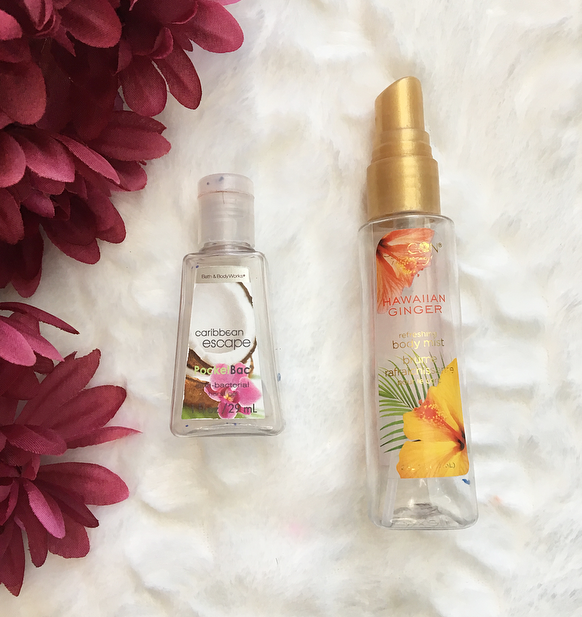 The first one I tried was the best, but I hated the strong scent so I never repurchased it. 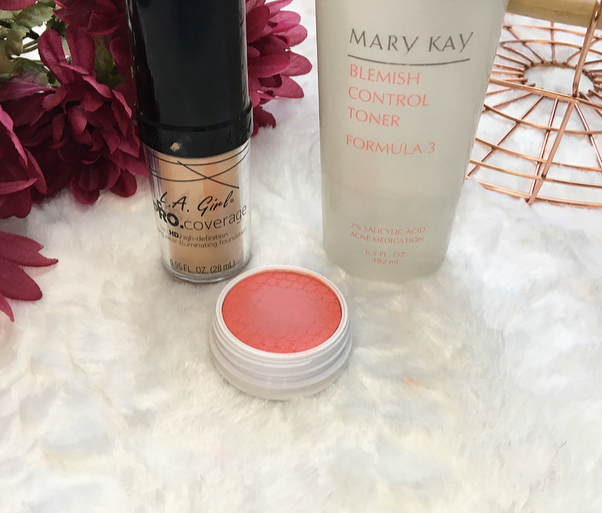 This one didn't remove my makeup very well so I wouldn't repurchase it. Luckily I have fallen in love with the coconut micellar water from Pacifica, which has a light scent and removes my face makeup like a dream! This is my favorite eye makeup remover and I use it almost every day. I have a lot of backups of it so luckily I don't have to find a cruelty-free alternative just yet. If you have any recommendations let me know! I've had this scrub for years and I love the scent, but I always forgot to reach for it. I put it in my shower and started using it on my feet and hands. I like the scent a lot but I wouldn't repurchase it because I don't need it in my collection. I finished this up really quickly and I wasn't a big fan of it. It was a little bit too harsh for my skin, but if you have normal/oily skin it might work better for you! I liked the formula of this but the coconut scent was waaaay to strong for my to use on my face, it gave me a headache. I only finished it by using it to moisturize my chest. I've been really flying through these lately! I found a great new way to clean my beauty sponges (with bar soap rather than liquid soap) but the soap I used for this sponge was dry and cracked and made the sponge rip apart. I repurchased the sponge and I got a new bar soap to wash it with so I don't have that problem again! This was one of the last mascaras I purchased before going cruelty-free. I accidentally bought it in brown, not black, so although I liked the effect I saved it for days when I wanted low-key makeup. It was a good mascara, but I wouldn't repurchase it. This was an okay liner, good in a pinch and good for the price, but it wasn't fine or black enough for me to do wings with. If you just want a simple, affordable liner I would recommend this! I don't have a solid opinion of this BB cream because it was definitely too dark for me! I had to mix it with other products to make it work. It has a thicker texture and this shade had a strong yellow tone to it. This was in my Project Pan this year and I love the scent! It's light and sweet, but unique and just a hint tropical. The monetary value of this one was added to my Project Pan update because I have a separate goal for that project! I've been keeping this in my purse and using it a few times a day. Especially with the flu going around, you can't be too safe and I've somehow managed to not get sick so far this year! I bought the lightest shade in this foundation and it's still too dark and warm for my skin! I have to use about equal amounts of white mixer to make it work, and I'm sick of it. I'd rather just declutter it and give it to someone who might get more use out of it. I didn't use this very often and I think it has dried up now. It's a cream product but it is nowhere near as soft and blendable as my Colourpop cream highlighter. The shade is too bright for me, anyway. I had this product for a while and I remember liking it, but I went to use it up after I finished the Mario Badescu sample and it stung my skin really badly every time I tried to use it! I can't tell if my skin has gotten more sensitive or if the product has gone off, but either way I'm not going to keep it in my collection. Last month I was at $159.39 of my $1000 goal, and this month I finished $86.12 which brings my new total up to $245.51! I felt like I used up a lot of products in February, but a lot of them were smaller/less expensive than what I used in January. I'm still well on track for finishing my goal so hopefully this continues! My other goal (which is proving less easy to stick to than I thought...) is to purchase less in beauty products that I am able to finish up and I've spent a little bit more than what I use up so far this year, so March will be a no-buy month for me! 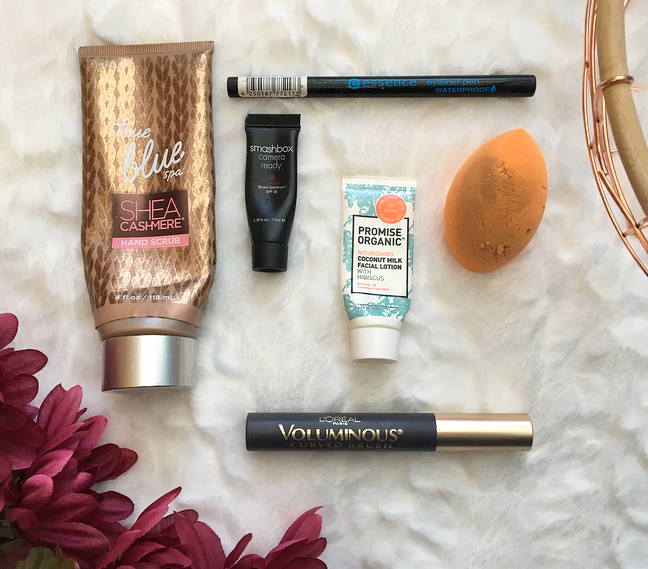 16 comments on "February Empties + Declutter"
You're doing so well with your empties, I'm useless at finishing things up! That Colourpop blush is pretty but I'm not actually mad on the formula of these. Really love the super shock eyeshadows though! I love the glycolic acid toner you have there. It is awesome, I feel like when I use it my skin has a fresh slate. the Soap and Glory body scrub sounds really good. the Real Technique's sponge is one I've been repurchasing for years, its so good! You're well on track for your goal :D Congrats! 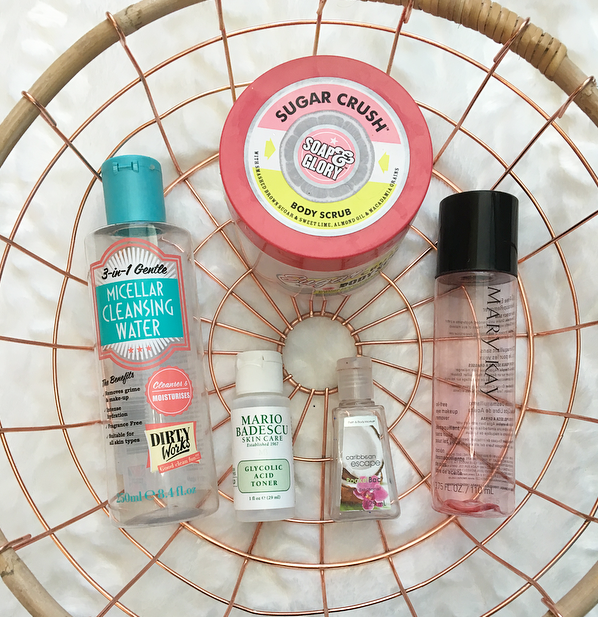 I also completely love the Soap and Glory Sugar Crush Body Scrub - one of my all time favs! I really need to try more Soap & Glory products!! Everyone loves the scents! i wish i could buy soap&glory bodycare where i live. i will stock up when i'm back in london in may. 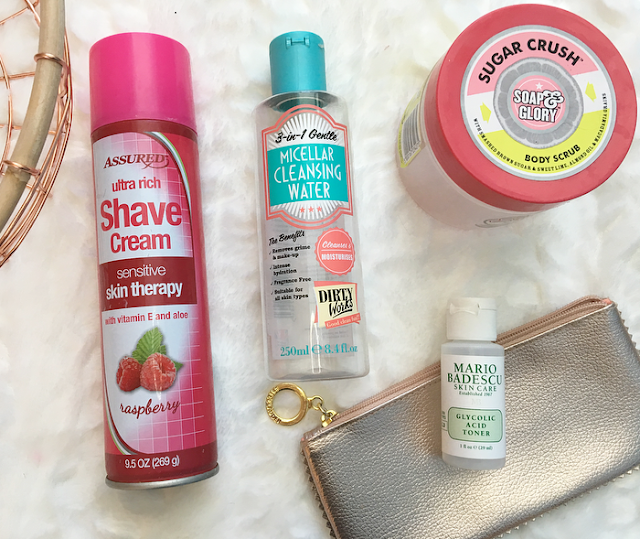 I've heard such great things about Micellar water - definitely need to check that out! These all look like great products, thanks for sharing! I used to love L'Oreal Voluminous but never tired the mascara with the curved brush. Great post!